Zin Taylor , "Parrot Soup"
Wild Parrots have infested the park by where I live. A company of twenty moved in, and never left. 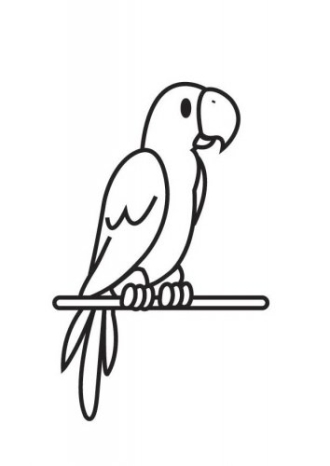 Parrots are incredibly loud and bossy – like a gang of random thoughts loitering in the public space. They spot the ground and trees with their color, and fill the air with their speech. I imagine these birds, these organic recorders of other people’s sounds, collecting fragments of thought from the people passing by. When the Parrots take flight, their voices fill the air with the amalgamized chatter they have collected – overheard ideas and wonky propositions, repeated elsewhere for the benefit of others. I stroll with one of these birds, the colored body tucked beneath my arm, re-telling ideas I’ve had about this and that, making them mean a little more. Models and metaphors are explained in detail. I tell accounts of one thing so I can explain another. Thoughts gathered into a story after being loosened. Surfaced in a way that only a good walk can bring about. As the parrot takes flight, the stories become part of the air. This bird floats through the trees, talking as it goes. Vocalized propositions filling the atmosphere, residues of speech and thought settling onto the landscape below. Ideas about one thing are collected into forms of another.